We want to be more both more innovative and productive, but we’re often measuring the wrong things. We write a lot about creativity, innovation, examinations of happiness and satisfaction, and discussions of productivity. The problem in business is that we know we want innovation, workplace satisfaction, and productivity, but we don’t really know how to define these terms. As a result, we don’t have great ways to measure the factors that are likely to lead to innovative ideas, happy employees, or a productive workplace. This is a problem, of course, because it is impossible to improve what we cannot measure well. One response to the difficulty of defining key aspects of people’s behavior in the workplace is that we measure things that seem intuitively related to the concept of interest. Consider productivity. 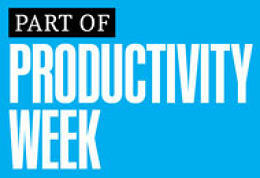 In some cases, worker productivity is easy to determine. If your company produces widgets, then you measure the number of widgets (on average) produced by that worker or on that worker’s shift. If a person’s job requires innovation, though, the measurement task gets harder. As a result, we gravitate towards measures that are (at best) intuitively related to what we want to know about people’s performance. For example, we might be tempted to measure how much time people are spending at their desks. It seems reasonable that the more time people spend working on an innovation task, the more likely they will be able to generate new ideas for the company. The problem is that tasks like generating new ideas require many different modes of engagement. For one, reading about areas that are not directly related to a company’s projects can provide bases of knowledge that might ultimately prove useful in solving a new problem. In addition, walking away from the problem for a while and doing something else is often required to allow ideas to percolate (or incubate). That means that activities that look unproductive (or at best tangentially relevant to a job) may actually be crucial for long-term success as an innovator. Measuring the time people spend on a particular task may not be a good guide to their ultimate success in finding innovative solutions to problems. To remedy this problem, we need more people in the workplace who are skilled in analyzing the tasks people are required to do as part of the knowledge economy, and understanding the factors that are associated with success. Companies need to measure these elements of behavior rather than finding measures of productivity that are weakly correlated with what we have asked people to do. Those are the kinds of people we are trying to train in the Human Dimensions of Organizations program at the University of Texas. Activities that look unproductive (or at best tangentially relevant to a job) may actually be crucial for long-term success. As an example, let’s think more about innovation. One type of person who is often successful as a serial innovator in companies is the expert generalist. Expert generalists are people who know a lot about many different areas. They have a personality profile that suggests they are very open to new ideas, and that they have a high need for cognition, which means that they enjoy thinking about new topics. These individuals are also moderate to low in the personality characteristic of conscientiousness. As a result, these individuals often take a while to complete specific tasks they have been given. That can lead them to get poor evaluations from their superiors. However, these individuals spend a lot of time reading about new ideas, talking to other people in the company about their projects (when they ought to be doing their own work), and thinking about difficult problems. Because of this preparation, they excel when the time comes to develop new ideas. However, if the work these individuals are doing is not noticed before it comes time for them to be creative, they may not last long enough in the organization to share their strength as innovators. Ultimately, it is crucial to put the human component of businesses on a par with other facets of work that are easy to measure like finances and number of hours worked. These measurements will allow business leaders to do a better job of evaluating the true path to productivity of the people who work for them, and make better decisions about how to develop their talent.